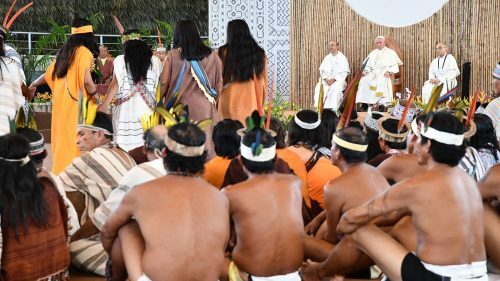 On the morning of the second day of his visit in Peru, Pope Francis travelled to Puerto Maldonado and addressed 3,500 indigenous people from Peru, Brazil and Bolivia. In a stirring speech, he seemed to denounce, without naming them explicitly, the false solutions implemented by the States with the support of the financial world in order to preserve rainforests. As a matter of fact, he hinted the outlines of the famous REDD Projects (Reducing Emissions from Deforestation and Forest Degradation) and REDD + (that allows polluting companies to keep on contaminating, just because they consider that the purchase of carbon credits will offset their carbon emissions without enforcing any effective forest protection mechanism). 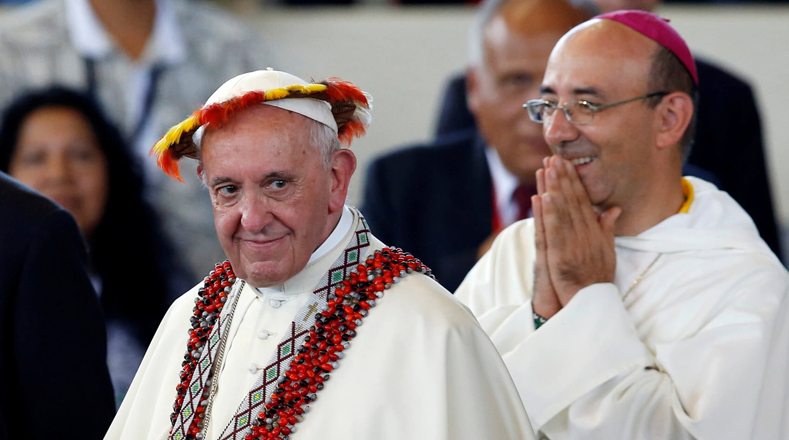 Addressing the present bishops, he called for the shaping of “a Church with an Amazonian face, a Church with a native face.” The direction of this Pope Francis’ keynote speech, given in front of thousands of indigenous people, greatly suggests that the Synod of Bishops that will be held in Roma in 2019, will illustrate and be in line with his encyclical Laudato Si’. What if Pope Francis’ next step was a decisive denunciation of the doctrine of Americas’ discovery? Wait and see. Sources: El tiempo, Telesur, Globo, AFP, La Vie, Europe 1.